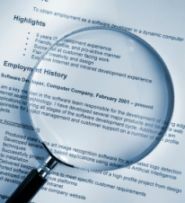 Your Resume Layout Can Impact Your Job Search. Find Out How. Your resume layout - meaning the sections you include in your resume and how you present them - is important to get right. Busy recruiters and hiring managers don't have time to hunt for the information they need in order to decide on whether your background fits their needs. You'll have several decisions to make as you decide on how to present your background. We'll get started with what is likely your most important choice...format. You basically have three choices when you write a resume. You can build a chronological resume - a resume that moves through your experience from your most recent employer back through your early career. Or, you can choose a functional resume, one that showcases your skills and abilities. Functional resumes are designed to convince your prospective employer that your functional skills are transferable from one industry to another. For the very brave, you can think about a hybrid format - a combination of the Chronological and Functional Resume. In all honesty, I've never met a recruiting professional - either an internal HR recruiter or an external search consultant - who has time for a functional resume layout. You need to understand how recruiters work to understand the problems with a functional format. We look for candidates who meet job requirements on multiple levels. The functional skill set required by the position is not the only factor in play. Equal in importance, we need candidates who are coming out of companies of a similar size, from a particular industry, who are doing a similar job. In order to figure that out, we need to know where you're working and your current title. This is much easier to see with a chronological resume layout. I have some definite advice to give you here, but keep in mind that there is no right answer. Ultimately, you need to choose a solution that's best for your personal situation. Objectives can really only fall into one of two categories - generic, so no one can argue with it; or narrowly defined, which limits your options in a job search. An objective that's very generic does not add anything of substance to your credentials. An objective must be specifically tailored to each opportunity you're applying to. Fail to customize each resume submission and you're likely to land in the "NO" pile. If the opening is for a senior sales professional, but it's an individual contributor role - and your objective is sales management...what's going to happen to your resume? You can't always tell from a job advertisement, or a networking contact, what the real scope of the role is. My clear preference is to develop a strong summary statement, followed by a bullet point list of key skills and abilities. While this doesn't eliminate the need to tailor your response, there is considerably less risk in taking this approach with your resume layout. Your summary statement should be 3-5 sentences long. This is essentially your "elevator speech" - what you want your prospective employer to know about you above all else...a summary of your key experience and abilities, sharpened to a couple of sentences. experience calling at the C-level in Fortune 500 accounts. of exceeding multi-million dollar quotas. Tackle this section of your resume layout last! As you work through your professional experience, you'll develop some good ideas for your summary. You'll repeat this pattern for each company you've been affiliated with and for each position held. A word about dates of employment...include years only. Month/year formats require more explanations around gaps in employment experience. You'll see me suggest elsewhere on this site that hiring managers should drill down on dates to find out about any gaps in employment. That's advice for the other side of the desk! Remember - your resume is designed to screen you out, not in. Obvious gaps - the kind that show up with a month/year format - will screen you out early in the process. By presenting years only in your resume layout, you've got a better shot at making the first cut, which is our real objective! You'll need to incorporate some of your most significant accomplishments in each position you've held. An accomplishment should be included if it provides a good example of the scope of your work effort and authority. Think strong action verbs and metrics as you put this section together. As you're building your list of accomplishments, include as many as you can think of for each position you've held. You'll eventually need to edit this list, but brainstorming now can help you draft a top notch document - and help to prepare you for upcoming interviews. Write a resume that puts some scope to your accomplishments. Which statement has more impact? Responsible for meeting sales quotas on a quarterly and annual basis. Consistently exceeded $2.5 million annual quota requirement by at least 20% for the past 3 years. President's Club 2004-2008. Named top sales representative for ABC Widget in 2007, with a record $4.2 million in new business sold. The more specific you can be around metrics, the more successful you'll be in getting interviews. Look at your accomplishments for each role and put them in order from the most impressive to least impressive, making sure that you have an accomplishment for your most significant responsibilities. There will be trade offs in this process. Your objective is to end up with a document that reinforces your key strengths. Unless you are just entering the workforce and have little experience to talk about, academic credentials should appear after your work experience in your resume layout. If you've attended an Ivy League school, you might mention this in your Summary (e.g. Wharton MBA with 10 years of finance experience...), but generally speaking, you want to include your academic experience towards the end of your document. List your highest degree first, followed by your undergraduate experience. 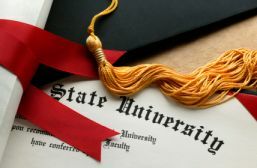 Include in your citation the degree conferred, your academic major and the school you attended. Dates are not necessary, and in general, should be left off. Include any academic honors or awards in this section. In this final section of your resume layout, include only those organizations in which you are currently active, unless you've held a leadership position worth mentioning. I don't really care that you belonged to a trade association in the early 80's, when it's 2009. Avoid mentioning political and religious affiliations - you don't want to be screened out because of someone else's bias. Pretty simple...it's not a part of your resume layout. It's inappropriate to include any personal information. I don't want to know how old you are, how many children you have, what your health status is, what your marital status is - or how much you weigh! And for heavens sake, don't include your social security number anywhere on your resume (yes, I've seen people do this - honestly!). I also don't want to see your picture. All of these personal data points tread in the murky waters of what prospective employers are legally entitled to know. Don't go there. If you want to let me know that you like to play golf, ski or have other hobbies, I won't object - but I'm not going to decide to interview you because of your extra curricular activities. Adding another accomplishment to your professional experience would be a better use of the limited space a two page resume layout affords!